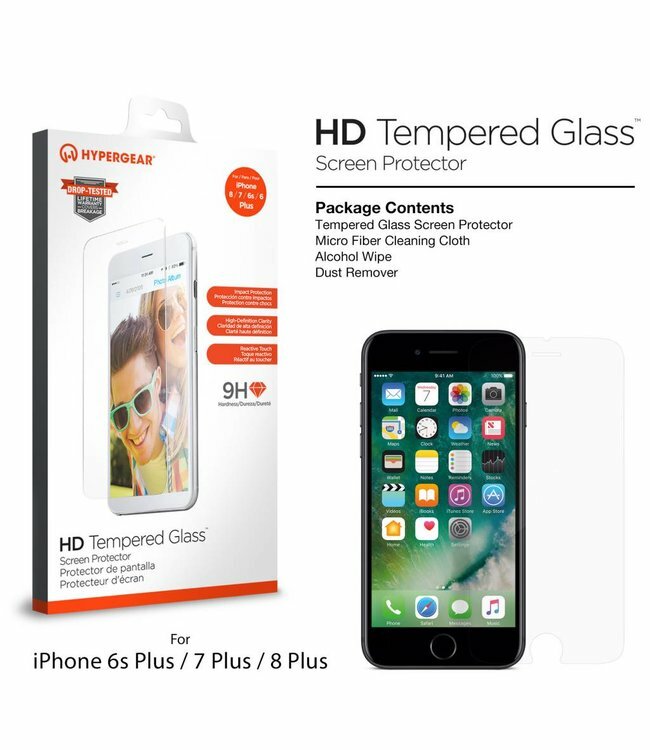 The Tempered Glass Screen Protector from HyperGear offers the ultimate defense for your smartphone. At only 0.33mm, the glass is ultra-thin and lightweight yet it boasts a 9H hardness rating for maximum strength with minimal bulk. The Tempered Glass Screen Protector from HyperGear offers the ultimate defense for your smartphone. At only 0.33mm, the glass is ultra-thin and lightweight yet it boasts a 9H hardness rating for maximum strength with minimal bulk. Crafted with 4 layers of protection to ensure outstanding performance: Oleophobic (Anti-fingerprint) coating, Tempered Asahi glass, Anti-shatter coating, and Adhesive Silicone coating. Laser cut tapered edges provide a perfect fit to cover your display from end to end and helps prevent chips and snags. Let this screen protector take a hit, so your phone won’t have to!